RLI Fundraiser - free gym and classes at Train Together! You know what they say… Three times a charm! This year we will be celebrating our third anniversary at Train Together Functional Fitness Studio and, once again, we have decided to raise money for a very worthy cause in Lancaster. If you are lucky enough to have been a member at Train Together for the past three years, you will know the drill already. Help us find 25 new people (they can be neighbours, friends, colleagues, the post man or people off the street) and give them a free pass to Train Together’s classes and gym. 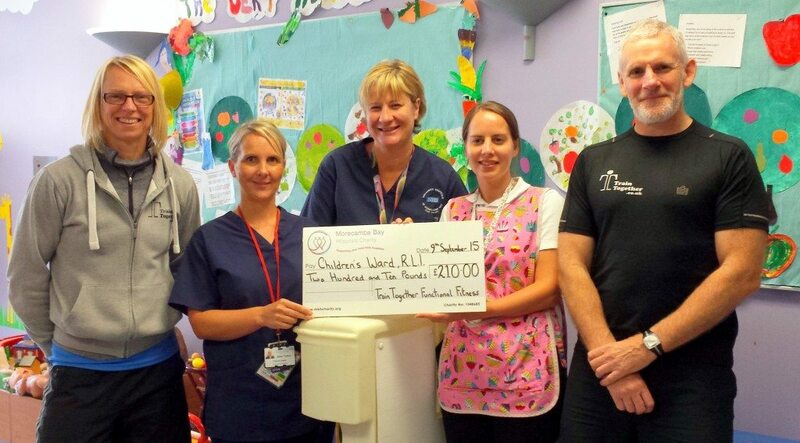 If we reach our target, we will be donating £5 per free-weeker to the RLI Children’s Ward. Better yet, if they sign up after their free week, we’ll donate 20% of their membership fee, too! 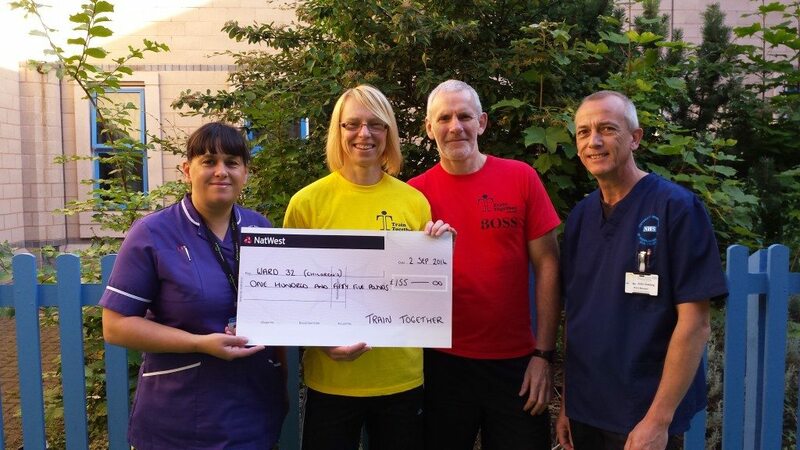 The monies previously raised by Train Together Functional Fitness have been spent on distraction toys and play equipment, both of which are equally important to children in a hospital environment. The value of play in the development of children is recognised by experts and, for the child or adolescent in healthcare, play has a very special significance. It is not a way of keeping them quiet or passing the time, it is part of the treatment they receive. Play is important, both in preparing children for what is going to happen and in providing ways for them to work through anxieties and fears and deal with their experiences in healthcare. 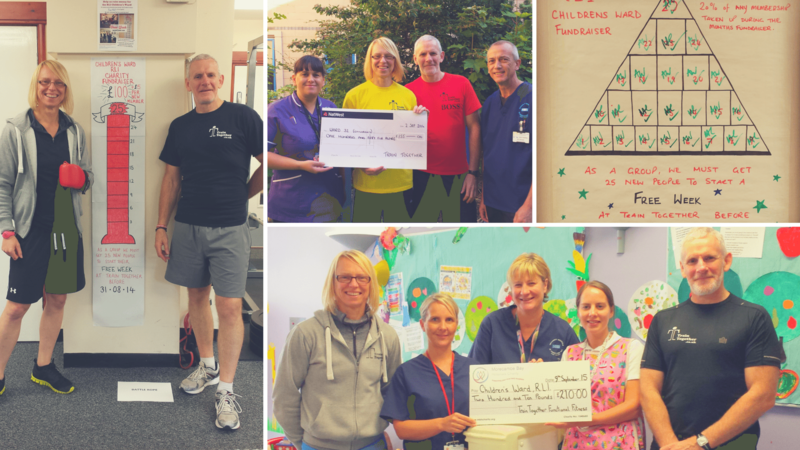 We are grateful for the support you have given and continue to give to Morecambe Bay Hospitals Charity, Children’s Ward.” – Morecambe Bay Hospitals Charity, 2016. Our summer RLI Fundraiser is only possible with the help of you – our fantastic members. What do you have to do? If you’ve never been to Train Together, sign up for your free week now. If you’re already a member, invite people to come along. That’s it! You’ll be giving your friends the opportunity to trial everything the gym you love has to offer, with no catch. It doesn’t even matter if they don’t sign up for anything… We just need as many active free weekers as possible to reach our target (although it would be nice to see some new faces become regular gym-goers!). If you want something to hand out to your friends, please download and print our free week vouchers, here. The RLI Fundraiser will commence on 1st July for just one month***. So get involved and get inviting!